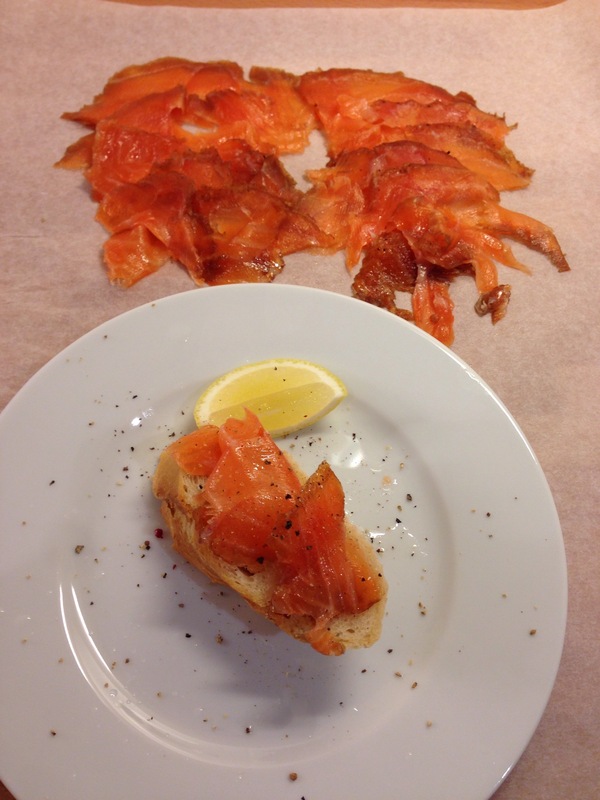 One of the first things I thought I’d try from Diana Henry’s book Salt, Sugar, Smoke was some gravlax. I’m a really big fan of smoked salmon but haven’t got access to a cold smoker at the moment so I thought I’d give gravlax a go. The texture is very similar to smoked salmon as its cured in a similar way but without the addition of the smoke. Unfortunately I didn’t have any peaty whiskey as called for in the recipe so I substituted bourbon. This gave a sweeter taste but I’ll will try with some Talisker next time to give a subtle smoky taste! The recipe called fora side of salmon ( as this was my first attempt at fish curing I thought I’d try it with a smaller fillet this time in case it went wrong). Salt, sugar, dill and pepper. 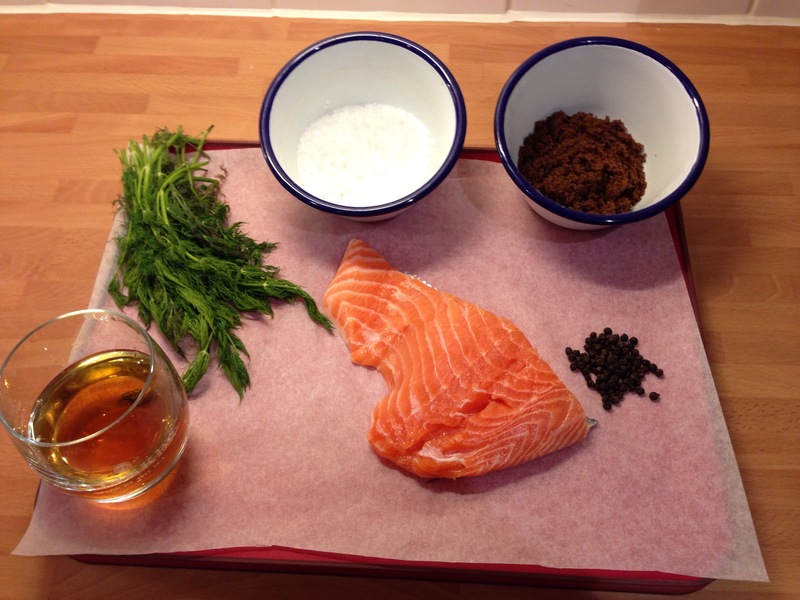 Once the dry ingredients were mixed I rubbed half the mixture into the salmon and then poured over the bourbon. 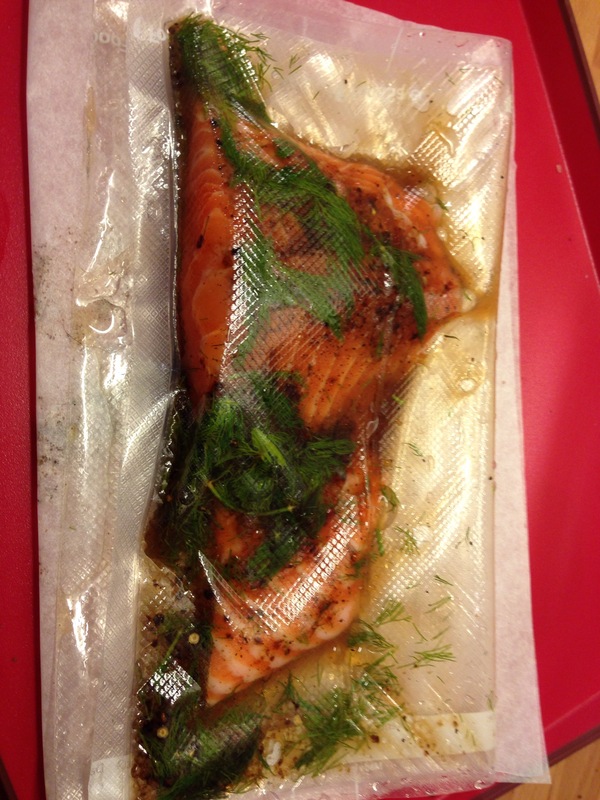 I then vacuum packed the salmon and left it in the fridge for 24 hours. After 24 hours I removed it from the packing, poured off the liquid that had collected then put it back in vacuum packing with the remaining cure and left it back in the fridge for 36 hours. The result was a lovely firm fillet that was easy to slice and had a great salty taste with a hint of the sweet bourbon and a touch of dill. This entry was posted on November 8, 2014 by paulb in DIY Food, Fish, Preserving.